One of many worn out display stands. 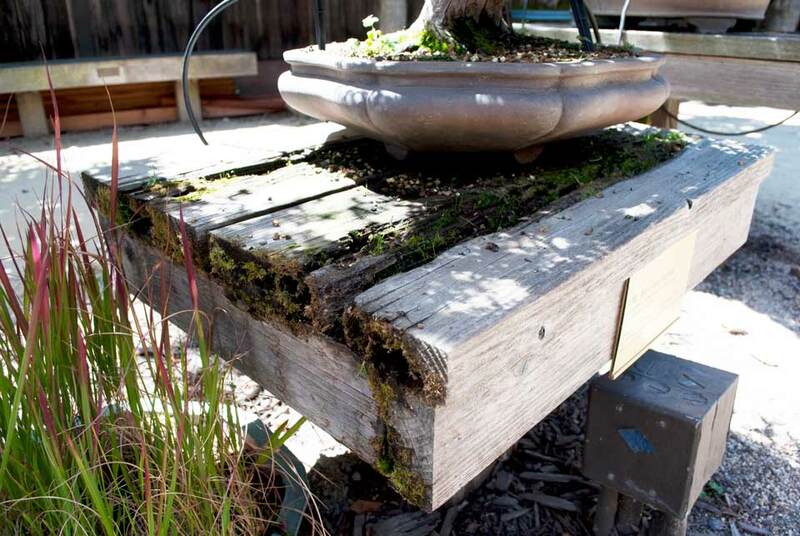 GRO is a fund-raising project to improve and replace worn out benches, display stands, water systems, new pathways and more at the Bonsai Garden at Lake Merritt. No such project has been planned since the Garden opened its gate to the public in 1999. We are raising $100,000 to make these improvements, and so far have raised slightly over 25%.